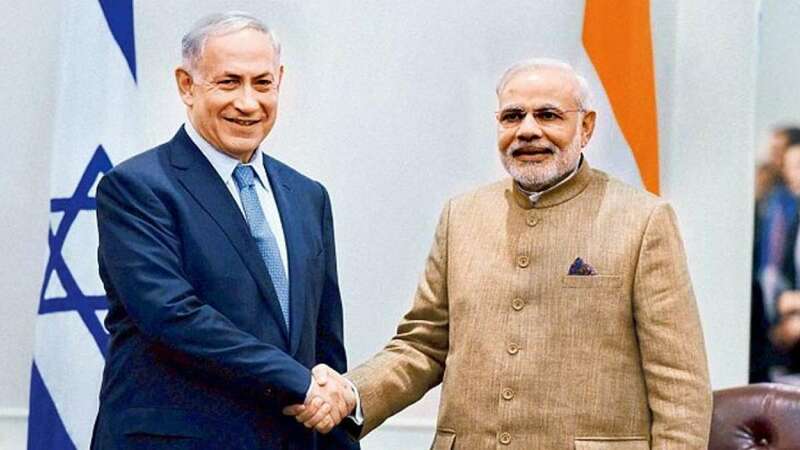 New Delhi : Describing terrorism as a global menace, Prime Minister Narendra Modi, who is set to visit Israel from Tuesday, has said that New Delhi and Tel Aviv can "cooperative even more closely" in battling terror. Modi also told the newspaper Israel Hayom in an interview that his three-day visit to Israel, the first by any Indian Prime Minister, had its own significance and would further strengthen bilateral ties. Asked if Israel and India were facing the same threat of terrorism, Modi replied: "Terrorism is a global menace. India and Israel are not immune to it either. We are in full agreement that elements which perpetrate violence on innocent people should not be allowed to flourish. "Cross-border terrorism is a major challenge for us. Divisive forces across our border are trying to disrupt the unity of our nation. These troublemakers often misuse religion as a tool to misguide youth in our country and our regions. "Terrorism should not be equated with any particular religion. India and Israel could cooperate even more closely and complement each other's efforts to fight with the menace of terrorism," the Indian leader added. Modi was asked if his visit was a reset or an upgrade in India-Israel relations. "My visit has its own significance... I am confident (it) will lead to further strengthening of our relations in different areas and also open up new priorities for cooperation," he said. The Indian leader added that he was sure to visit Jerusalem. India, Modi said, believed in a two-state solution in which both Israel and a future Palestinian state coexist peacefully. "A final-status agreement should respect the sentiments and address demands of all affected parties. The key to finding a solution to this issue lies with the affected parties. "India supports all efforts to find an acceptable solution to all the pending issues, including Jerusalem." Modi recalled that he had visited Israel in 2006 as the Chief Minister of Gujarat. "I am happy to return after more than a decade, and I look forward to seeing the developments and advances Israel has made in this time." He said Israel was perceived in India as a technological powerhouse, a country that has braved many odds. "The way you transformed yourself from being a water-deficient country to a water-surplus country; the manner in which you made your deserts bloom, are all amazing accomplishments. All these images have made a deep imprint on my mind." Modi said India-Israel ties had always been strong, and over the years they had been continuously expanding and diversifying. Asked if his decision to visit Israel implied a more pro-Israel posture in the UN, he said: "Our positions at the UN are based on the merit of specific issues and driven by our core values and principles... India is not in favour of singling out any country at the UN." The Indian leader said he was was not looking at a traditional import-export relationship with Israel. The Israeli industry has been fairly positive to many of our flagship schemes like 'Clean Ganga.' There is tremendous scope for deepening the extent of partnership in India's flagship schemes."